If the Outside Temp Is 58 Can I Safely Run the Air Conditioner? Air conditioners use a cycle that involves changing a refrigerant between a liquid and a gas to decrease the temperature of a room. The design of virtually all air conditions assumes that the system is not going to be run when the exterior temperature is below 60 degrees Fahrenheit, since it is below the comfort area of most people. In most cases, it is not safe to run an air conditioner below this temperature. The minimum temperature an air conditioner can be set to usually corresponds to the lowest external temperature it can be used. Air conditioners are only designed to operate within a relatively narrow range of temperatures. The refrigerant selection and part designs assume that the air conditioner would never run below a certain temperature. The minimum temperature can vary between models, but it is usually around 60 degrees F. The air conditioner is designed to manipulate the properties of the refrigerant between a gas and liquid. When the exterior temperature drops below the minimum designed temperature, the refrigerant starts acting differently. The air conditioner usually runs, but excess strain gets put on the system trying to compensate for the changes. Ultimately, running the system at these temperatures would cause the compressor in the air conditioner to be ruined. The amount of time it takes to ruin the compressor is going to vary substantially based on the design of the compressor, operating parameters of the system and external temperature. It is difficult to predict how long it would take to blow out the compressor as a result. Air conditioners usually are two-part systems. The main part of the air conditioner is the heat exchange system. However, most air conditioners also include a fan for air circulation. While it is possible for an air conditioner to function without air circulation, it takes far more time to change the temperature in a room without it. It is safe to run just the fan of an air conditioner if the heat exchange system is disabled. Not all air conditioners allow you to run the fan without the heat exchange system. 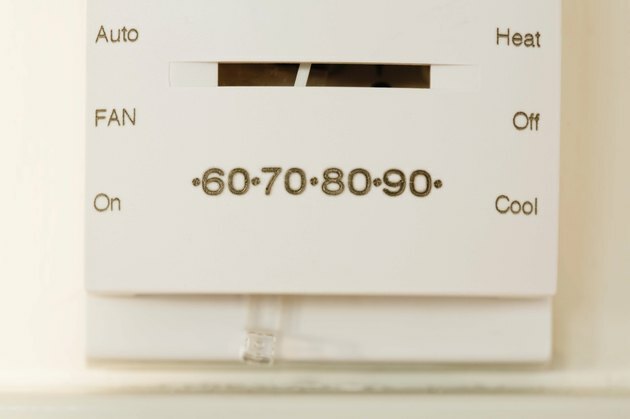 While most home air conditioners cannot be run below 60 degrees F, this does not mean it is impossible for an air conditioner to safely be run below this temperature. The reason most air conditioners cannot be run below this temperature is a design choice, not an actual physical limitation. Some air conditioners are designed to be used over a larger temperature range than home models. These systems are much more expensive, which is why they are almost never used outside industrial plants. Equipment, such as manufacturing equipment, generates heat all year round. The interior of these plants would be too high for comfort without an air conditioning system that works year round. Air conditioners designed to be used all year round usually have a much lower minimum temperature. Usually the minimum temperature is below the lowest seasonal temperature for that area, so there is no risk of running these systems during cold weather. In most cases, especially in homes, you should not run an air conditioner at 58 degrees F or lower. The air conditioner does function, but you are going to burn out the compressor fairly quickly. It is safe to run the fan if the heat exchanger is disabled. It is also safe to run an air conditioner that is designed to be run all year round. 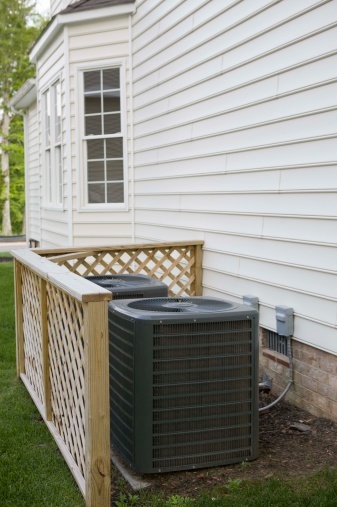 The general rule of thumb is that you should never run an air conditioner at 58 degrees F or lower unless you understand the system well enough to know it is designed to be run at lower exterior temperatures than most models -- or can be run with the heat exchanger disabled. Can You Run Central Air If Your Gas Is Cut Off? What Is the Deadband on a Thermostat? What Is the Function of a Compressor in an HVAC System?